The Very Best of Adam And The Ants is a greatest hits compilation album. 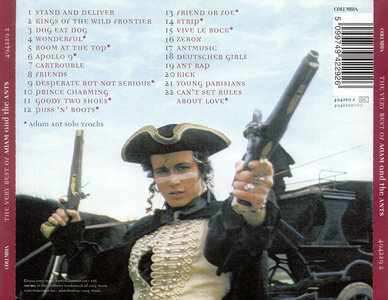 It includes songs from Adam and the Ants & Adam Ant's solo works, with all their hits and pop faves, like "Stand & Deliver", "Dog Eat Dog", "Prince Charming", "Goody Two Shoes", "Puss N Boots", "Friend Or Foe" and many more. 22 tracks. There have been a fair few Adam Ant collections - after all he was a 'hit machine' for the first half of the 80s and more famous than many subsequent chart acts (not to mention far more talented). 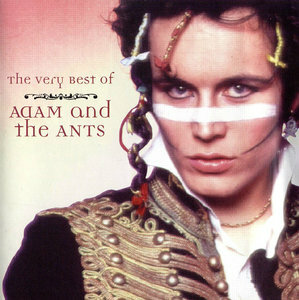 What I loved about Adam and the Ants was the whole package - music, image, attitude, and style were all superb, and he could teach today's drearily po-faced performers a thing or two (thank goodness for La Roux). The tracks here are in no particular chronological order, but you get two real gems to kick off with: The birth of the 'Dandy Highwayman' in the brilliant 'Stand and Deliver', followed by the percussive anthem and breakthrough hit 'Kings of the Wild Frontier'. 'Dog Eat Dog' harks back to the band's punk origins, whilst 'Wonderful' is the nearest they get to a ballad and is not as dire as many would suggest. 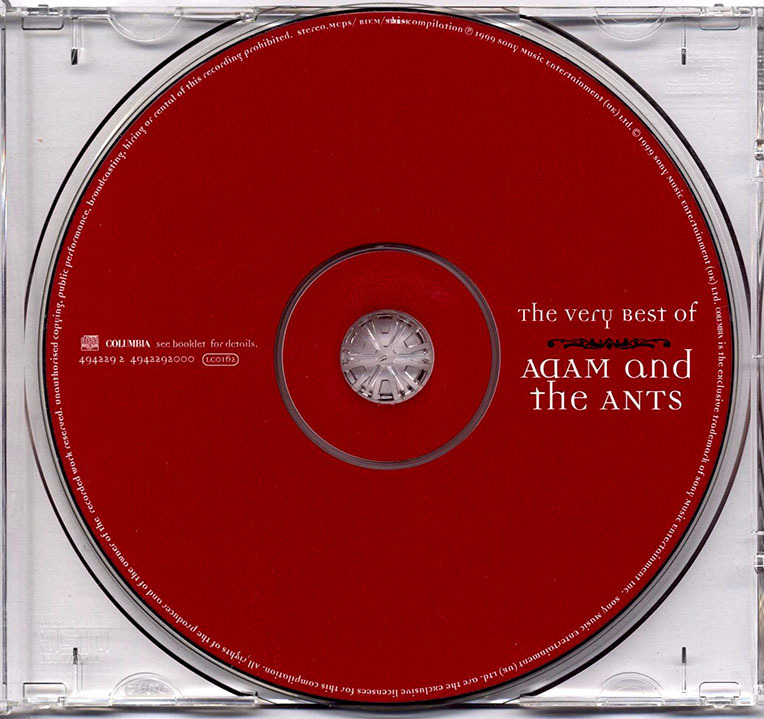 Adam's 1989 comeback hit 'Room at the Top' sees him bowing out in style, and the ubiquitous 'Prince Charming' reminds faithful ants that 'ridicule is indeed nothing to be scared of'! There are 16 more slices of pop excellence on the disc, with the understated 'Can't Set Rules about Love' and frankly bonkers 'Apollo 9' also warranting specfic mention. So, dust off your tricorn hat, daub the war paint on your face, and wallow in 22 tracks of majestic pop perfection.